Hot Off the Press: April is Here! The April Issue of SRQ Magazine is on newsstands now! 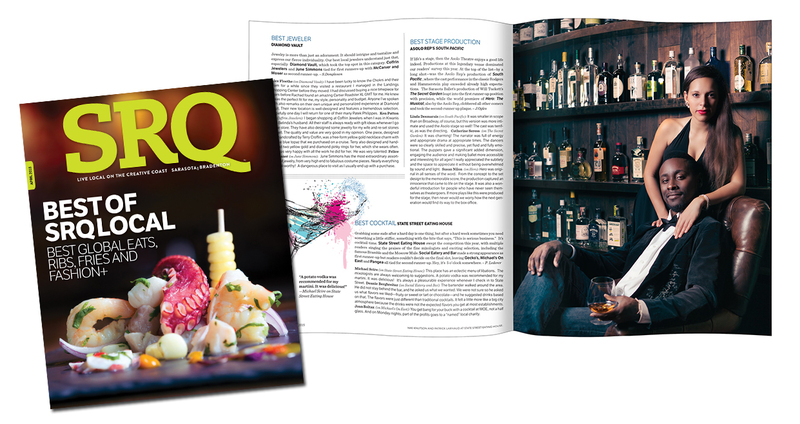 The April edition of SRQ Magazine is here! Always popular, this issue features the winners and finalists of the annual Best of SRQ Local competition. Readers voted, and the results are in – our community is proud of the local establishments that allow us all to live local. Pick up your copy today to find out about the new hot spots in town and perhaps rekindle your love affair with some of our community’s tried-and-true local favorites! As the Sarasota Film Festival approaches, we’re celebrating some of our community’s own heroes and creative forces behind the lens and on the stage. Don’t miss stories showcasing our favorite new shops, delicious dishes and beautiful baubles from local retailers. Pick up your copy – on newsstands now!